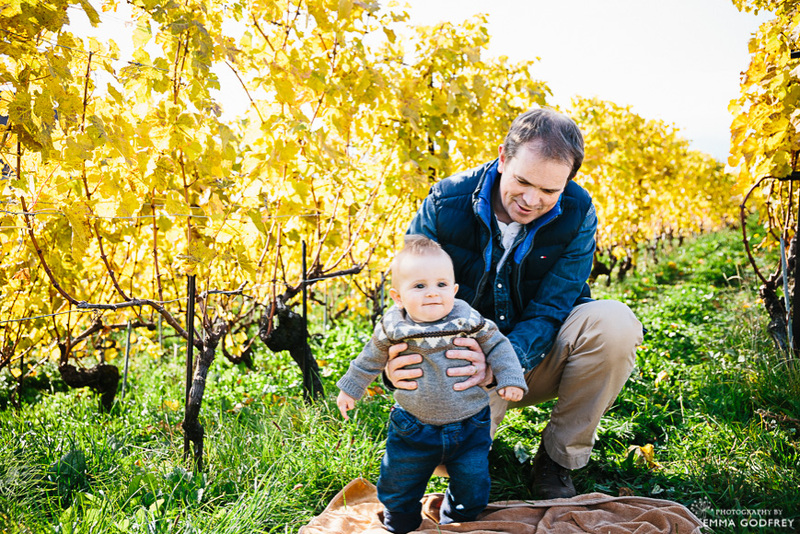 For Noah’s 6 month baby photo shoot in the vineyards, the vines were a stunning yellow under blue skies and we couldn’t have asked for a more beautiful day for his photo shoot. 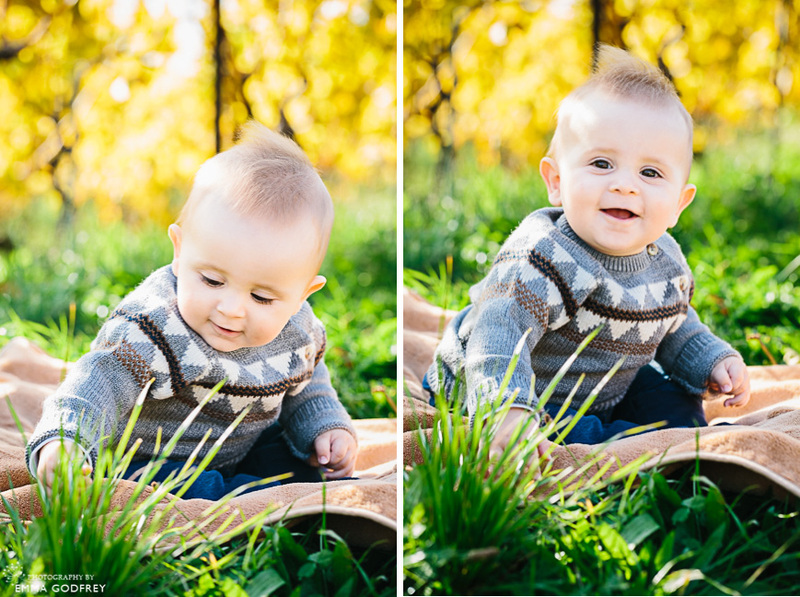 Always full of smiles, little Noah looked adorable in his jumper and jeans. He happily sat and played with the grass, beaming up at his parents as they talked to him, sang songs and enjoyed being in the sunshine with him. It was such a bright day that we had to get right down in the shade of the vines to find the right light to shoot in. 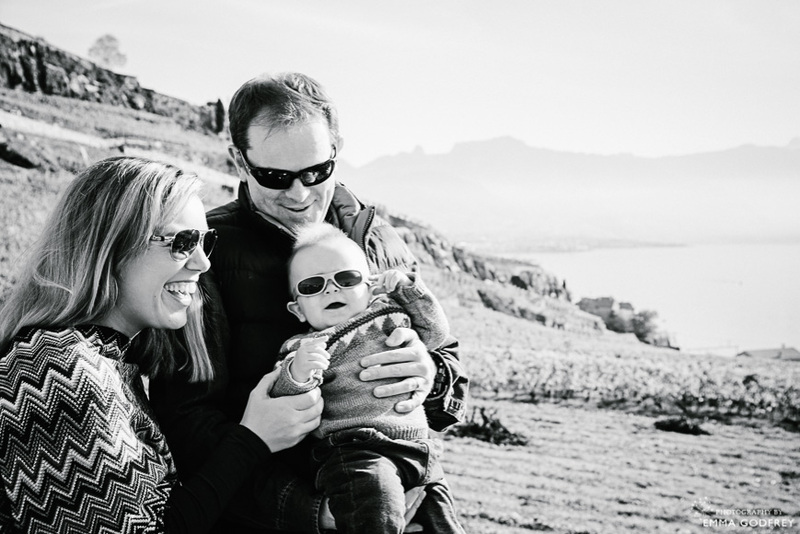 But Tania insisted on some sunglasses shots of the three of them, keeping the shoot fun and full of laughter. 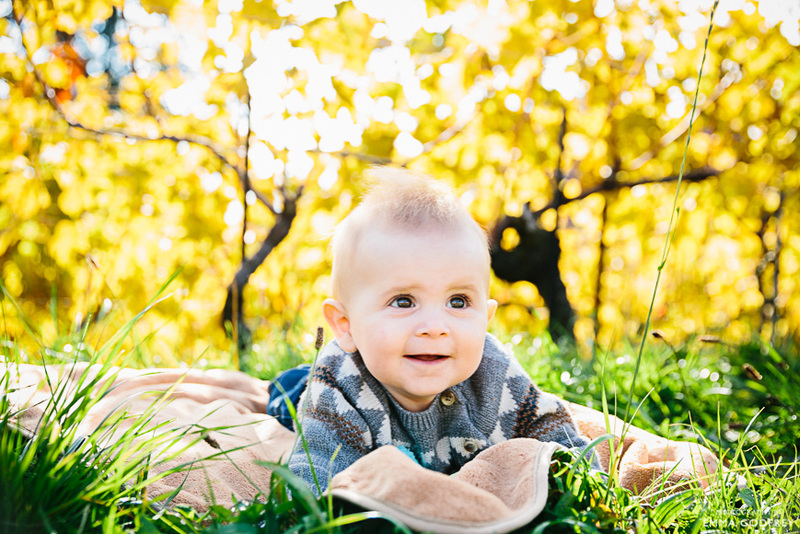 From about 6 months, it can be really helpful to have props with you for your baby shoot. Favourite toys or activities can be brilliant for keeping your baby entertained and when they are happy the shoot can run much more smoothly and quickly. On average I reserve two hours for portrait shoots, but with young babies this can often be shorter if we are able to keep the activities moving. 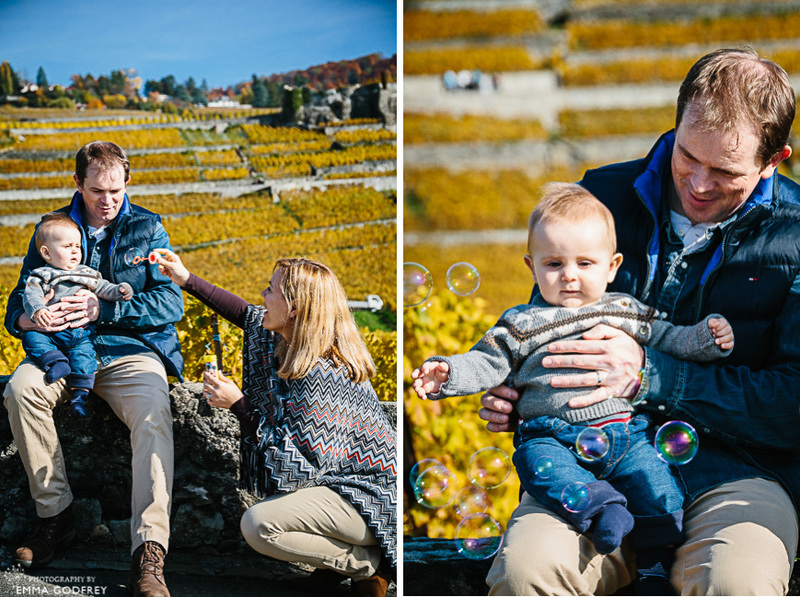 Tania brought along a couple of favourite toys as well as some bubbles which were a wonderful distraction and gave us some beautiful shots of Noah completely transfixed by the floating bubbles. I also loved the way she would just burst into song, and so did Noah! 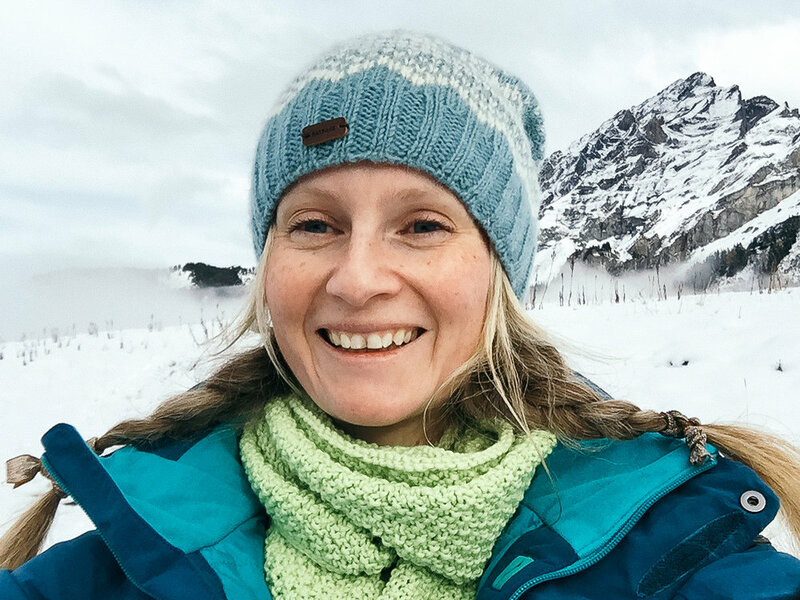 The majority of my clients find me online, often through friends or family. While I aim to accommodate everyone’s wishes when it comes to the privacy of their images, it is hard to show new families what their images could look like if I can’t share some here on my blog. So I am always grateful to those clients who let me share their shoot online. It also means that a good percentage of my work never leaves my clients’ galleries or makes it onto the blog. But I hope that you enjoy the shoots that I am able to share with you. 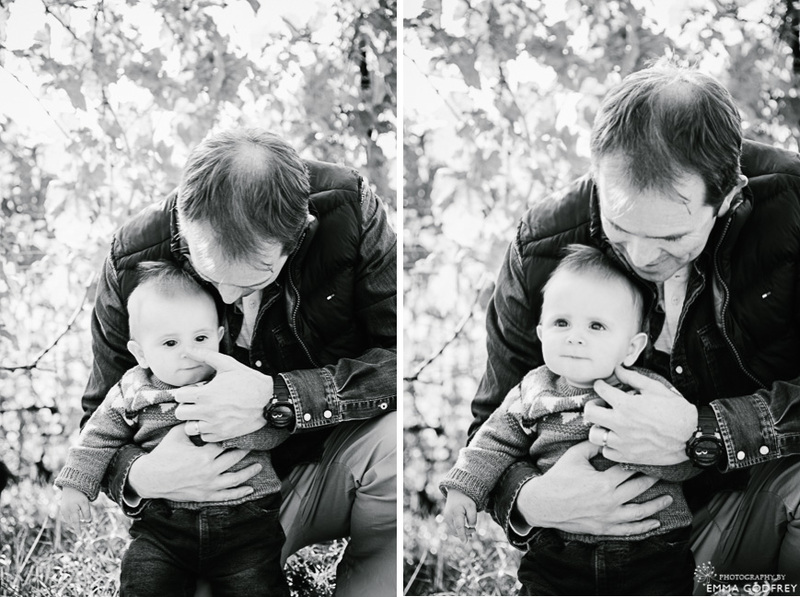 A huge thank you to Tania and her family for letting me share their shoot online.